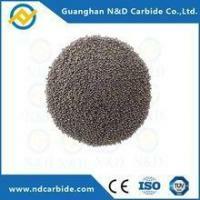 Tungsten carbide bush is the basic material among the frictional materials. 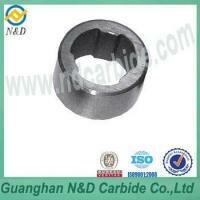 They are widely use as the basic components for sealing. And the bushings are widely adopted in petrochemical industry due to its excellent performances such as wear ability, anti corrosion. 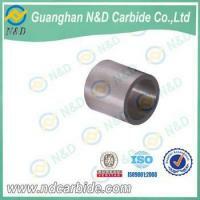 Tungsten carbide bush is widely known for its durability and quality. 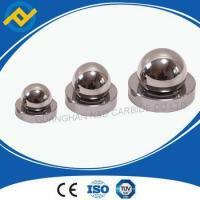 It can withstand high pressure and are resistant to corrosion ,so are used in water pumps, oil pumps and various other pumps. 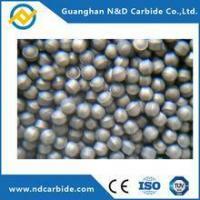 Today, tungsten carbide bush has been playing an important role in the field of long working parts material. Having excellent wear resistance, these bushes are available in different sizes and shapes to meet the varied requirements of our clients. The specification we can make is OD 10~ 300, ID 3~ 260 and H 8~ 150 mm.Either blanks or finished products can be provided. Our material covers:WC-Co alloy, WC-Ni alloy,WC-Ni/Co alloy,WC-Tic-Ni/Cr alloy etc. The right picture is the common drawing during the produce.hoping it's will help u at the first time.or send yous drawing to us,we will check it soon then supply price or sample service asap if we can do. Kindly contact us when you need more details. 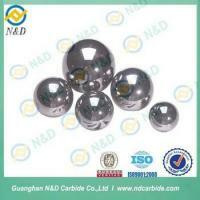 Our material covers:WC-Co alloy, WC-Ni alloy,WC-Ni/Co alloy,WC-Tic-Ni/Cr alloy,silicon carbide etc. 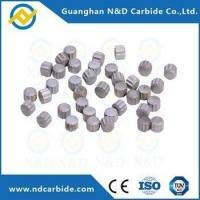 Both standard and nonstandard parts according to the customers’drawings or samples are all available from us. * We supply all service when .you happened during the using. * We will track the products after sales till application and improve the quality avoid have same problem during the produce..
*We will collect all yours opinion after purchase and give yours better service in a long time. 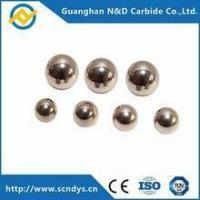 Guanghan N&D Carbide Co., Ltd. was established in 2004, located in west of Sichuan plain and adjacent to renowned Sanxingdui Museum. 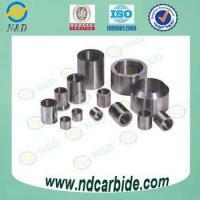 Nandong is a specialized manufacturer in cemented carbide, heavy gravity alloy and super-hard tools. Our company mainly deals with the production of blank and finished carbide wear parts, hard surfacing material, cutting tools and wood-working blades. Our production, situated in the forefront among enterprises of the same field in China, becomes a group member of Professional Committee of China Mechanical Seal Association. Our company has advanced production equipment, strong technical force, complete testing methods and strict quality management system, and has passed ISO90001:2008 quality system. Our products not only are salable at home, but also are exported to Euro-America, Africa and Southeast Asia, gaining high praise by clients. "Quality guarantee, delivery timely, expert service" is our objective. "Quality first, honesty based, customer first and mutual benefits" is our management concept. Local and overseas clients are welcomed to contact us for further business cooperation and for a better future.